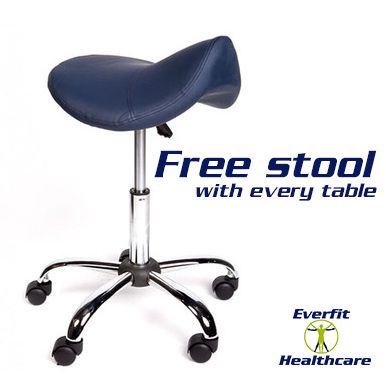 Everfit Healthcare PHYSIOTHERAPY 3 section TABLE is one of our most popular models with professionals. The Everfit 3 section table is designed using modern engineering techniques and manufactured from the finest materials to the highest standards! Just the table for the busy Physio, Osteo or anyone who seeks a strong robust table for treatment purposes. At 66cm wide this table is perfect for all over access and allows multiple working angles plus a firm thoracic treatment section. With a working weight of 250kg this table will cover all your requirements. Everfit Healthcare providing top quality products at affordable prices for the professional and the public. Excellent table for our treatment use.